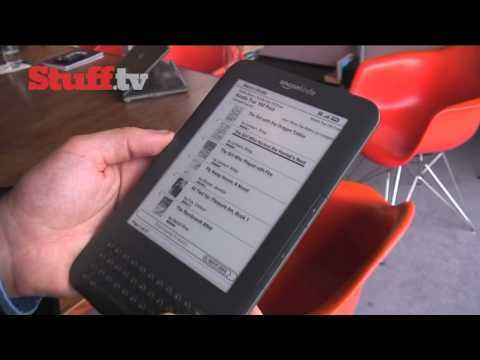 If packing a pile of paperbacks in the back of the van is your idea entertainment for rainy days away, then the latest version of the Amazon Kindle ebook reader might help free up valuable storage space — it holds around 3,500 books, but weighs just 241g. This is the third version of Amazon’s own-brand ebook reader and, like the previous models, it works seamlessly with its online bookstore when it comes to finding something to read. The difference with this model, however, is the price. At a mere £109, the cheapest of the two new models costs £60 less than the one it replaces. The entry-level Kindle 3 is Wi-Fi only, which means you won’t be able to use it to buy books or read web pages with its new-and-improved browser unless you’re in reach of a Wi-Fi hotspot. Not that there’s anything to stop you loading it with ebooks before you go away, of course. Step up to the £149 model, however, and you also get built-in 3G that’s not only gives much wider wireless coverage than Wi-Fi, but is also free to use — though it isn’t clear at this stage if that applies to web browsing as well as book shopping. Amazon has also launched a new UK ebook site to coincide with the new Kindles. UK Kindle owners have so far had to buy books from the US site at the prevailing $ to £ exchange rate, with VAT added on top — UK prices should be lower and all-inclusive. Sadly (though not for Amazon), the first batch of Kindles, due for delivery at the end of August, has sold out, but you can still place a reserve order for when new stock arrives. We won’t bore you with the other technical details, but suffice it to say that the e-ink technology behind the both Kindles’ 6" monochrome screen has moved on apace since the last version and the whole gadget isn’t much bigger (and considerably thinner) than a typical paperback. The one-month battery life means you won’t have to worry about packing a battery charger on your travels, either.